This fall, my husband Casey and I made several trips into the Uintas to fell trees and collect wood. 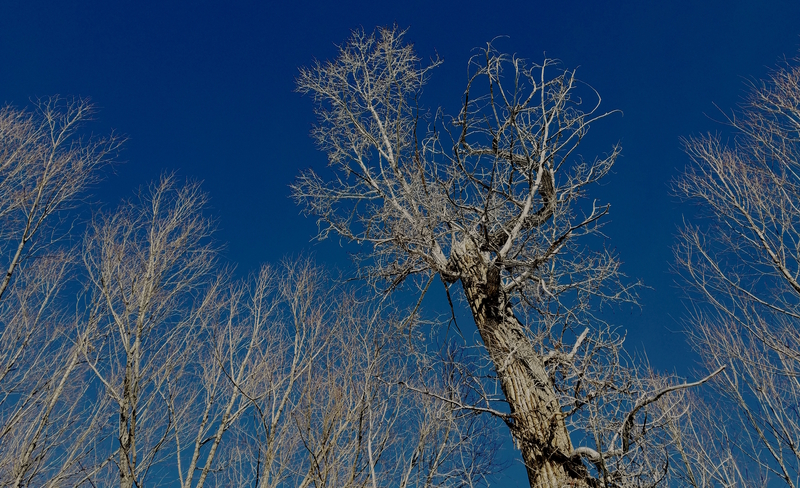 We searched for big dead trees close to the road. Casey chopped them down with his chainsaw and then cut the tree into logs, which we loaded into the truck. Heating our home has become a hobby. We swapped mountain bike rides for firewood fetching expeditions. We skip the gym and chop wood instead. 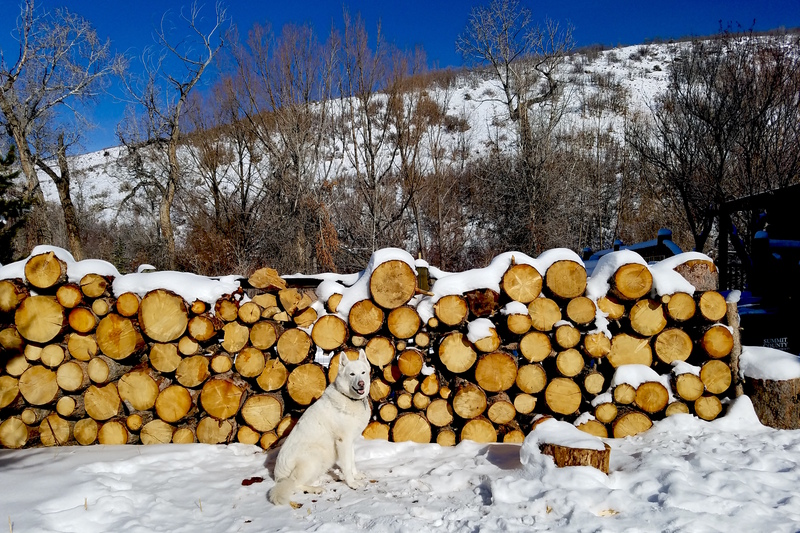 Our dog Uinta enjoys the harvesting and processing components of heating our home with wood, but the fires themselves spook and overheat her if she sleeps too near. To chop wood, you start by splitting logs using a wedge. This takes some finesse: position the wedge with the grain, lodge it in a crack, tap it in with a maul until it’s set. 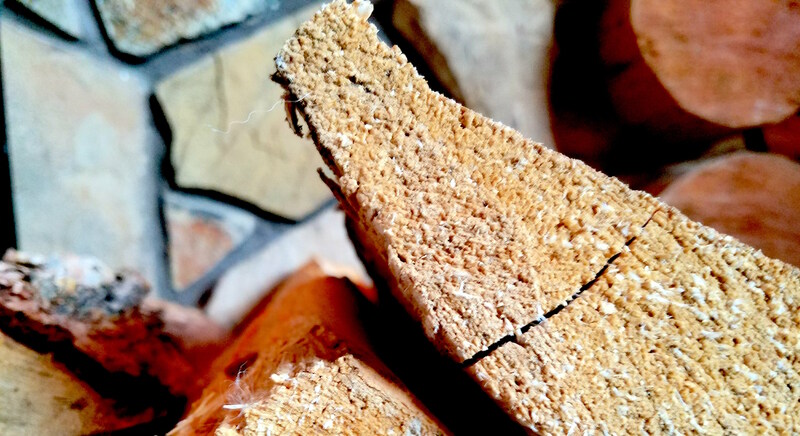 When the crack begins to emerge in the cross-section of the log, you know you’re close. 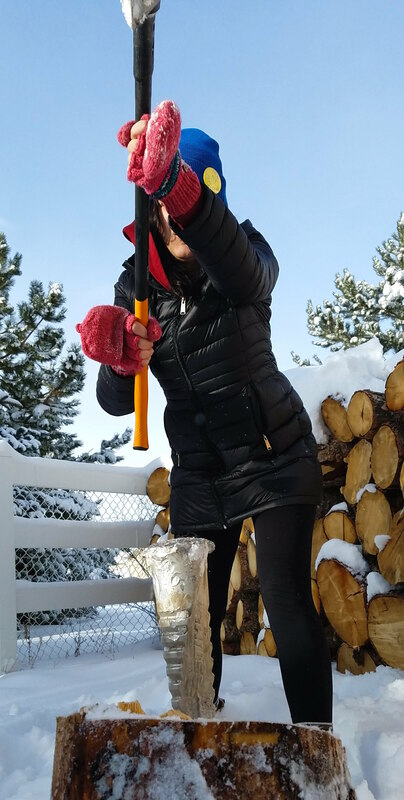 At first, I thought chopping wood would be a simple, cathartic process. In movie scenes like “Get Out” or “Amityville Horror” (so often a foreshadowing scene in a horror movie), you never see the splitting process. The chopper cuts right to the chase and always seems to need only a single strike to accomplish the task. The woodpile beside our house is a nagging reminder of all the work set out for us to keep our home warm in the winter. I contemplate the ridiculous amount of time it will take me to split and chop one log, then multiply it by 100. I will be chopping wood forever. By comparison, a thermostat summons up the fuel you need for warmth nearly instantly. Instead of gathering, chopping, drying, transporting, building, you simply press a button. The up arrow triggers images of fracking rigs and coal mines scarring mountains, oil spills, and invisible carbon dioxide collecting in our atmosphere. 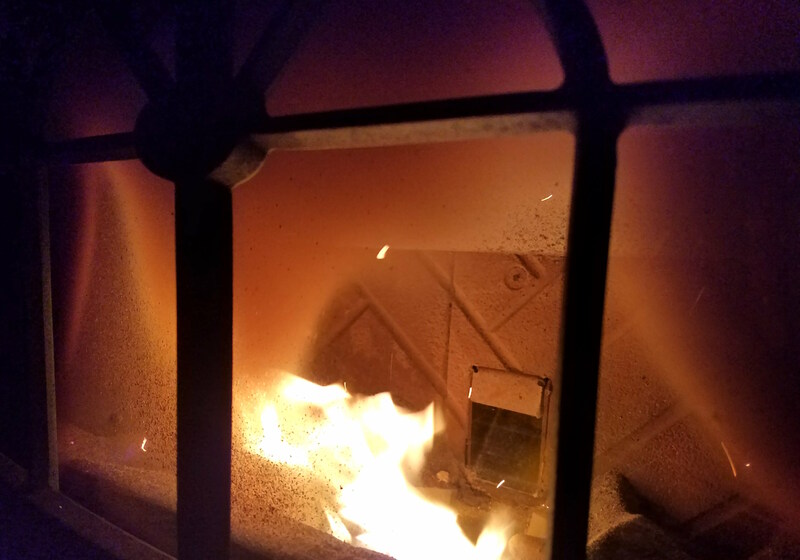 Before we installed our wood stove, we simply used our fireplace—an environmentally detrimental habit. When we discovered we’d had a chimney fire, the fireplace went temporarily out of commission. Our living room regularly dropped down to 60 degrees or colder. I tried to remain optimistic by imagining how balmy this would be by other standards—19th century standards, Arctic living standards. I sometimes resent the more time-intensive process of heating our bedroom with pellets. When my husband leaves town for work, I stockpile a few of the heavy pellet bags in our room. Weekly, we must let the stove go empty, dropping our room temp down to a chilly 55 or so in order to clean it. 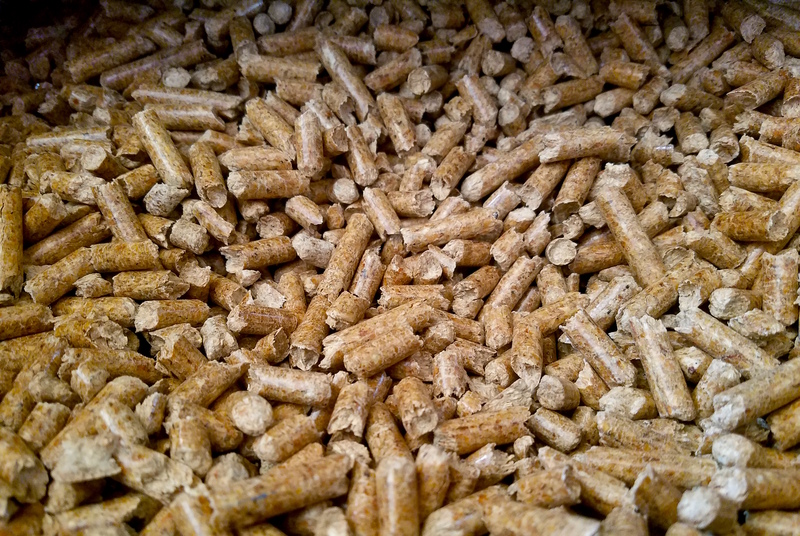 When we run low on pellets, we plan trips to Evanston, Wyoming, where pellets are by far the least expensive and of the highest quality. A boisterous forced air heating unit about the height of a human. Whitewashed radiators hot to the touch. Coils of heat embedded beneath floors that warm the soles of your feet. These are some of the heating systems I’ve had in the past. None are as prominent as the pellet stove, which cranks into action at regular intervals throughout the night as a fire ignites. Our bedroom heating source furnishes a full sensory experience. The dust of pellets coats my tongue and nostrils when I pour them into the stove. The fire ignites and blushes our ceiling orange and red, roaring. 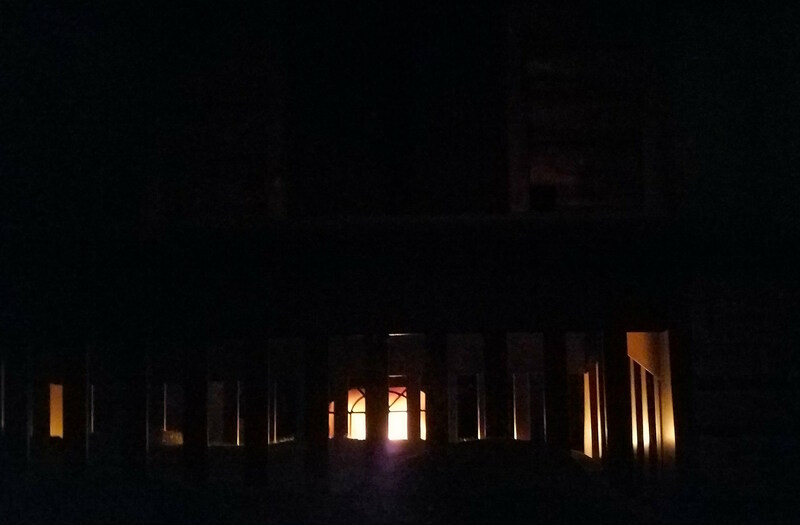 This is my view of the fire from my bed through the slats of the crib. Needless to say, an eye mask is in order. If you live in a cold place, you need fuel to heat your home in the winter. 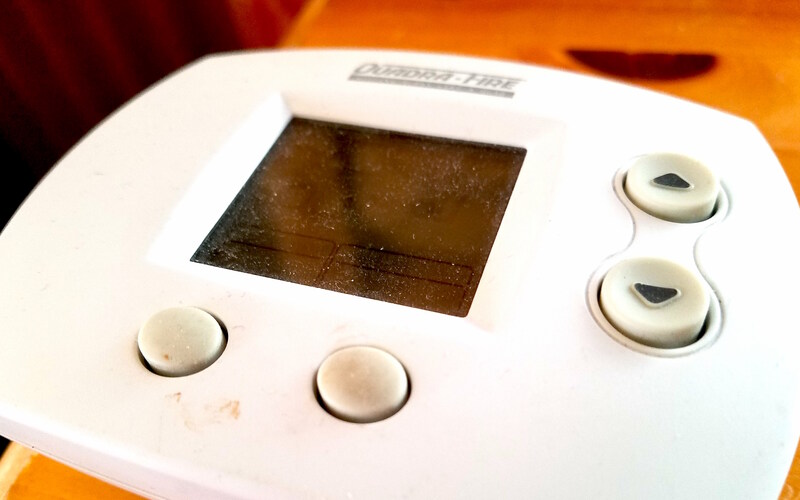 For most of us, maintaining a comfortable temperature of 68 degrees Fahrenheit or so involves pressing a button. This has always been a depressing experience for me as an environmentalist. I spend my days contemplating climate change, then engage in the disconnected experience of invoking fossil fuels by depressing an up arrow with my index fingertip. This year is the first where instead of natural gas and coal, wood plays a predominant role in heating my home. We heat half of our living space with a wood-burning stove and warm our bedroom with a pellet stove. 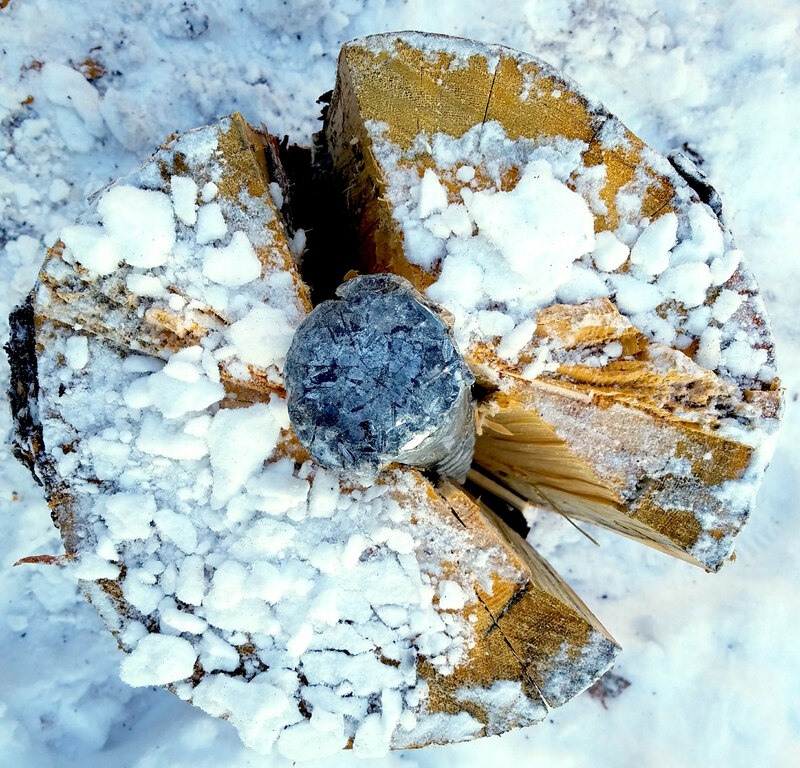 Rather than push a button, we gather firewood. Instead of programming a thermostat, we haul bags of pellets from our front porch and dump them into a feeder. 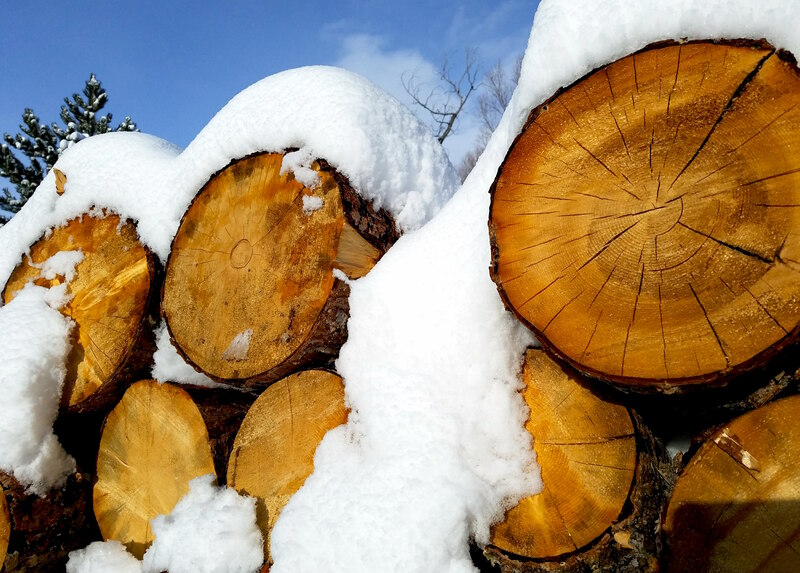 Wood, the original fuel, makes the ingredients for winter warmth tangible. Yet I also know that burning wood can also pollute, spewing smoke and particulate matter into the cold air, where it becomes trapped beneath a layer of heat. The problem is not just the fuel source, but how many people require it and the uncanny level of indoor warmth we have come to expect. In the “Original Fuel,” I explore the experience of heating a home with wood through photographs and writing that convey the process, tactile textures, and mood involved.